I just started using MailChimp as a way to keep in touch with our Botox Patients – and other patients at Surgical Artistry (Veins, Plastic Surgery, Acupuncture, Dermal Fillers). Here’s just an interesting statistic. For the months of August, September, October and November of 2014, I was able to add 190 patients to the mailing list. The mailing list as it stands has 2,712 patients on it. I guess I always thought we had more patients. But people frequently unsubscribe or even label our email as “spam” which comes back as a notice that someone complained. Mail Chimp currently costs about $50 per month. I think it’s convenient and it doesn’t bog down my own mail server. It keeps track of the duplicate emails, wrong emails, bounced emails, unsubscriptions and complaints. Mail chimp costs $50/month for 2801-5000 subscribers. With the current addition of 190 emails. We now have 2899 subscribers. 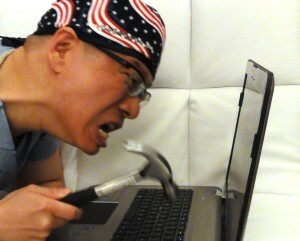 I look at the unsubscribers and complainers and I manually take them off our system. The reason for that? Because we have a birthday letter that we send out by ourselves, and we do it once a month and we don’t use Mail Chimp for that purpose. This way we won’t bother these folks with the birthday letter (email). What’s the Birthday letter? I wrote an article about the Botox Birthday Coupon. 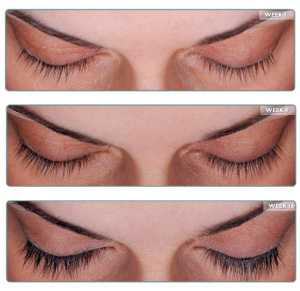 It’s our gift to our patients of $50 to use towards BOTOX and fillers if they want. I’m using the email system to keep in touch and to announce current events such as possible Modesto Botox Specials, Brilliant Distinction changes, etc. 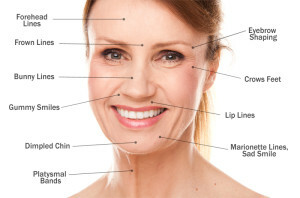 I’m the kind of guy that gets frustated easily with computers, but I’ve found some great features from Brilliant Distinctions which is a computer driven program which brings Botox customers back with coupons and rebates. 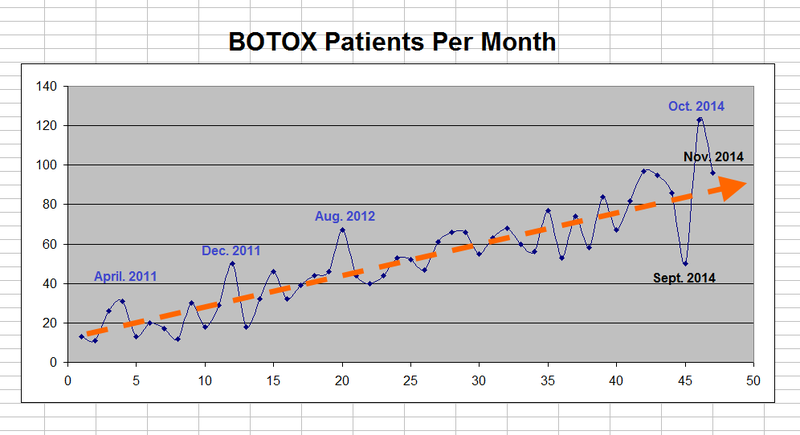 Please feel free to view our Modesto statistics with Botox and the Brilliant Distinctions Program. After a certain period of time, and from time to time, Brilliant Distinctions emails customers reminders regarding Botox, Juvederm, Latisse, and other Allergan products. They will sometimes mail reminders when a patient is about due for their Botox cycle. They will sometimes mail special rebates. This, I know our Botox / Juvederm / Latisse patients enjoy getting. These rebates are somewhat intelligent and can target a population who hasn’t tried a particular product. They also sometimes mail reminders if they have coupons or points which are about to expire. In a way, Brilliant Distinctions, keeps the patients connected with these products which I carry in my office. 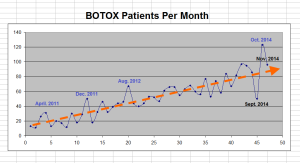 I sometimes tell patients that BD stands for “Botox Discounts”. But as we know BD stands for Brilliant Distinctions. As the owner of a medical office, I personally dislike sporadic discounts because I think our prices should be a great value all the time. But BD takes that work out of my hands and gives discounts to the patients for me. The patients love discounts. 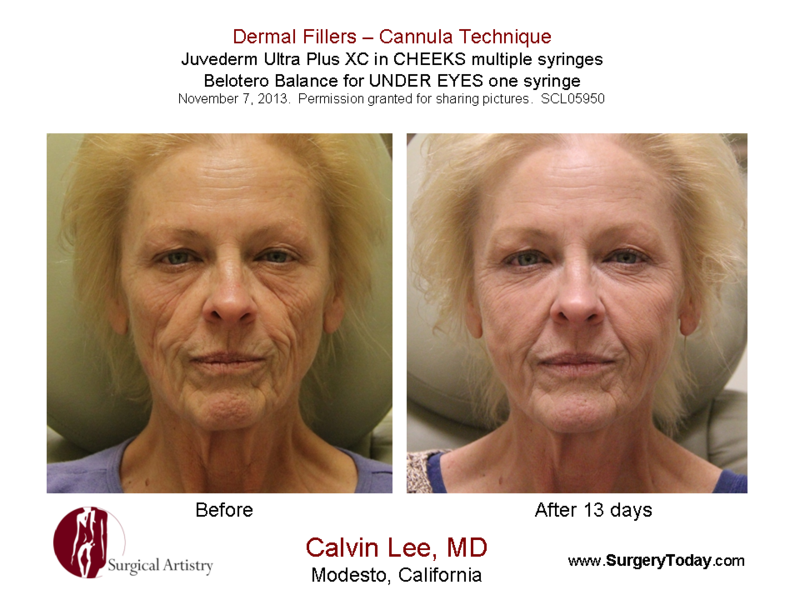 When someone likes the results of Botox, they would most likely like the results of other aesthetic related products such as Juvederm and Latisse. The coupons from Brilliant Distinctions act as a bridge introducing other products we carry in our office. The coupons are the bridge, the products are the gateway to other excellent products which make our patients happy and confident. With analytics, we can easily see which patients might benefit from a nudge from our practice. I personally appreciate nudges from coaches. In many ways, we are the beauty coaches for our patients. Using the analytics section, we can identify patients who have “slacked” off from a routine maintenance program of restoring youthful appearaces at our office. Once identified, we consider giving the patients a phone call to see if we can help. Or perhaps we need to find out about some things we need to improve upon. It’s a diligent disciplined approach to life that yields the best results – the same can be said for achieving and maintaining health and beauty. BD analytics is very customizable, and allows one to find patients who have expiring coupons, or who haven’t been to the office in a certain period of time. 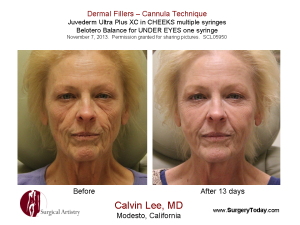 Calling these patients will improve our retention rate, and by contacting these patients, we will improve their outcomes from having a disciplined approach to Botox, Juvederm, Latisse, and skin care. 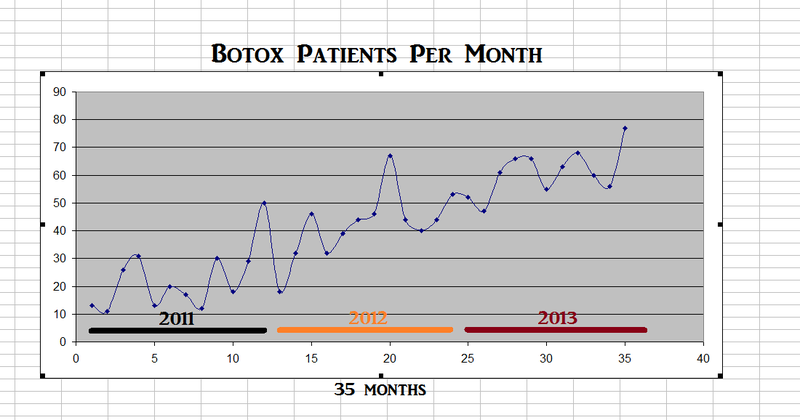 Growth of my Botox and Juvederm practice over the last three years since we started with Brilliant Distinctions (BD). 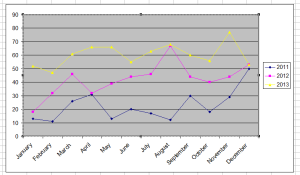 These graphs were drawn in Excel using data from Brilliant Distinctions Analytics. 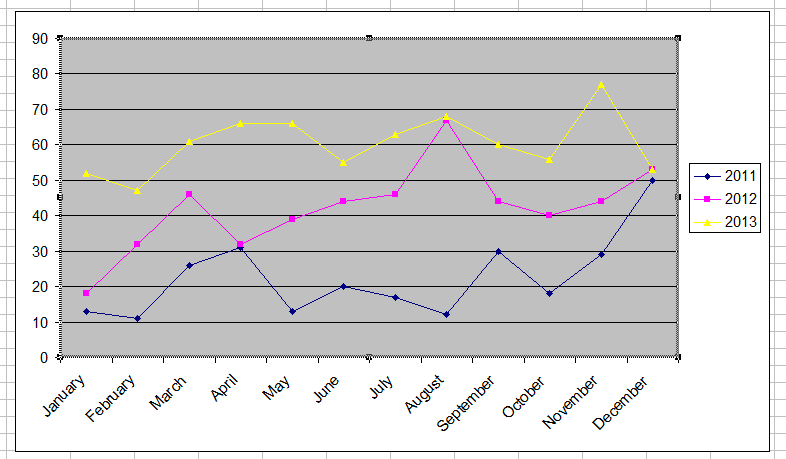 Click to see a larger version of the graph. Overall, Brilliant Distinctions can grow our practices. There’s automatic growth by using Brilliant distinction, and there’s purposeful growth by putting energy into the program and using BD analytics. Once you start building up patients in the program, BD analytics eventually becomes one of the most valuable parts. The more you put into Brilliant Distinctions, the more you’ll get out. You need staff training, time, and the opportunity to sharpen your spreadsheet skills. All is worthwhile. 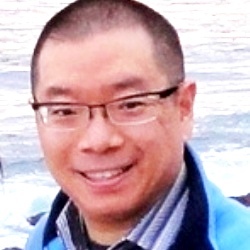 Calvin Lee, MD is a graduate of Brown University Medical School. He is a General Surgeon who works with his Plastic Surgeon wife, Dr. Tammy Wu in a practice called Surgical Artistry in Modesto, CA. 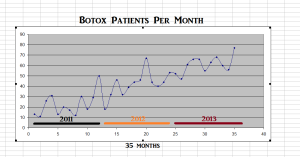 Please feel free to view our statistics with Botox and the Brilliant Distinctions Program. Add Allergan’s Brilliant Distinctions Program to your Website’s Social Media Buttons – an article about Brilliant Distinctions written by Calvin Lee, MD for MedicalSpaMD publication. Brilliant Distinctions program created the custom sized logos found in that article.